Aprilia MotoGP rider Aleix Espargaro says the struggles of his British teammates Sam Lowes and Scott Redding on the RS-GP bike are “a million dollar question”. 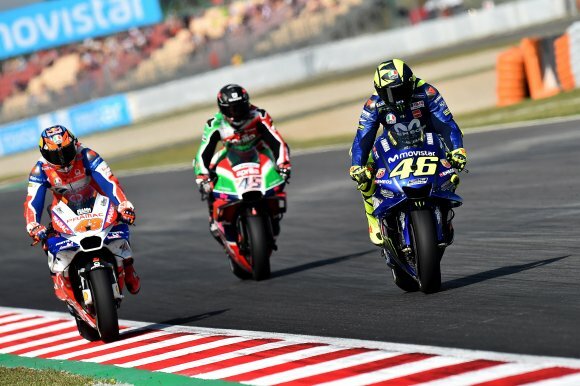 Lowes joined Espargaro at Aprilia in 2017, having been a regular frontrunner in Moto2, but was regularly outperformed by the Spaniard, who scored 64 points to Lowes’ five and beat his rookie teammate 15-1 in qualifying. Aprilia split with Lowes after one year, hiring the more experienced Redding instead – and the latter is currently just four points off Espargaro amid a terrible start to the year for the team. However, Espargaro has been noticeably the quicker of the two once more, having qualified ahead of Redding in all seven races, and the Briton has already been dropped for 2019 in favour of Andrea Iannone. “The last two years have been very strange,” Espargaro admitted. “I don’t understand what happened with Scott and Sam. I don’t have an explanation, both are very strong riders. “Sam is very strong. Scott, I always check the sessions of the year before, all sessions, the videos before I arrive in the weekend and for example here in Barcelona, with the Ducati, he was always top six, was very strong. Asked what made the RS-GP so difficult to master, Espargaro said: “Million dollar question. Very difficult to understand, not an easy bike. From Friday FP1, [I’m] to the limit always but I am sure that also Sam and Scott did. “For me the Aprilia is very different from the other bikes, from the Ducati and obviously from Moto2. 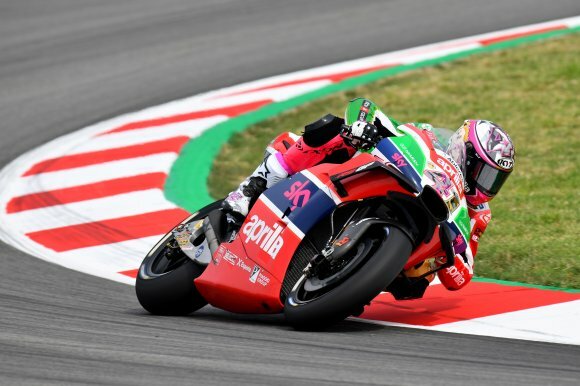 Espargaro, who extended his Aprilia deal earlier this year, said he congratulated the team for signing Iannone, as he believes the 2019-20 line-up will be “the strongest Aprilia team ever”. “They told me ‘we are very close to closing Andrea Iannone but we are also talking with one or two more’. He added he was “curious” to see how the one-time MotoGP race winner adapts to the RS-GP, given the struggles of Lowes and Redding. “Andrea is a very good and fast rider, but also Scott is, also Sam Lowes is,” Espargaro said. “Sam fought for a lot of victories in Moto2 – I never did this. And Scott almost won the title in Moto2 – I never did this. With the Ducati also he was very strong.